Fire is an important disturbance in East African ecosystems , influencing community structure and function, species distributions, nutrient processes, and plays a role in global carbon cycle. Humans have a long history of applying fire to the landscape and other land-use practices, such as pastoralism, deforestation, and conservation, impact fire regimes. Current fire regimes in Kenya are dominated by human modifications to fuel types, fuel loads, and fire ignitions; although, in deeper geologic time, this was not always the case. By investigating swamp and lake sediment stratigraphies we reconstruct the fire histories of the region to understand the changing relationship between natural drivers of fire and human influences on fire activity. By understanding these interactions we can better understand the distributions of plants across the landscapes and inform current land-use policies for governing these lands with multiple perspective stakeholders to reach consensus on future trajectories of development and conservation goals. 1) Creating new palaeoenvironmental records – by using charcoal metrics to quantify past biomass burning at the site scale. 2) Amassing published records of palaeofire at examine regional patterns of biomass burning through time. See the Global Charcoal Database. 3) Experimental burning of vegetation (fuels) in the field and lab to better understand the charcoal products to improve interpretations of charcoal-sediment records. See the Serengeti Experimental Fire Project. 4) Improve fire dynamics into land cover, vegetation, climate and palaeoclimate models. 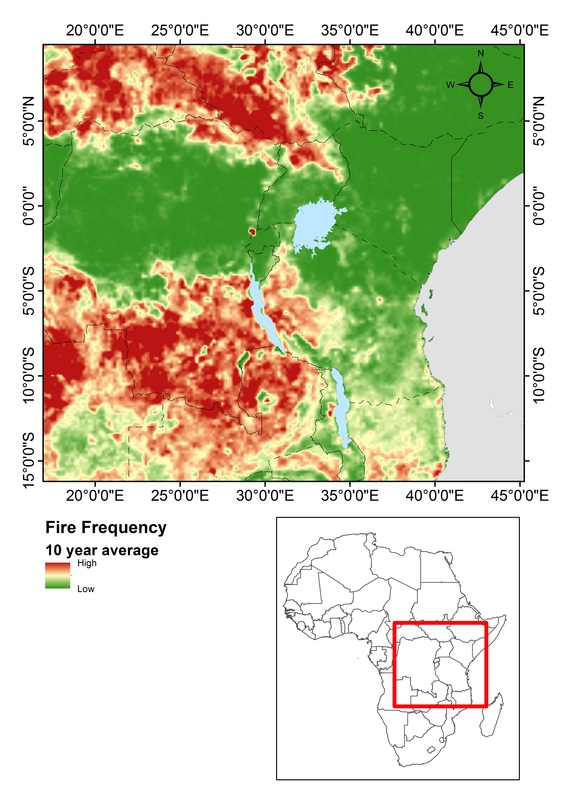 Map: Shows fire frequencies of East Africa from 2001-2013 collected from satellites (MODIS). Map by Nicolas Deere. Courtney Mustaphi, CJ, Deere, N, Githumbi, E, Marchant, R. 2014. Fire disturbance regimes and vegetation interactions in East Africa during the Late Quaternary. 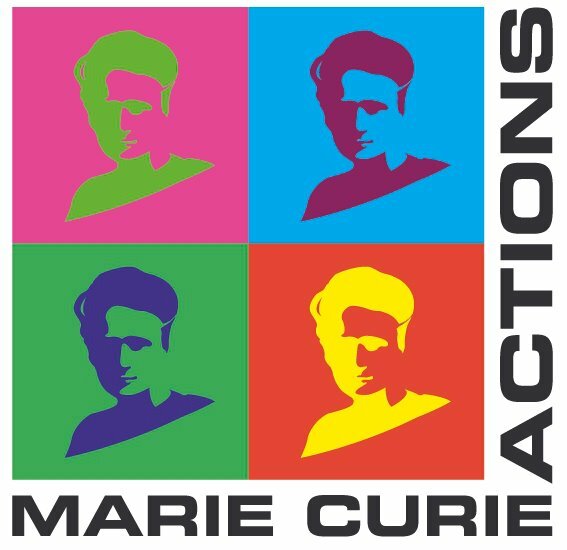 Open PAGES Focus 4 Workshop Human-Climate-Ecosystem Interactions, University of Leuven, Belgium, February 3-7, 2014. Human use of fire on the landscape has influenced vegetation composition, biomass abundance, and biodiversity in many ecosystems worldwide. Fire activity also has implications for carbon cycling and can result in a net carbon sink or source depending on the alteration of fire regimes and vegetation changes. The major controls of fire activity over centennial to millennial scales are dynamic and are further influenced by human land use and behavioral patterns and have shaped the modern ecosystems. It is often difficult to quantify the anthropogenic influence on biomass burning because the relative importance of natural controls of fire vary over multiple spatiotemporal scales and the analysis of detailed paleoecological data and human cultural information is necessary. Land use and burning practices have changed throughout the Holocene in East Africa and over the coming months we will be synthesizing multiple palaeoecological records of vegetation and fire activity to begin to disentangle the human influences on the environment. Modern biomass burning activity and rapid vegetation changes will be quantified using moderate-resolution imaging spectroradiometer (MODIS) land cover grids (500-m resolution). Multiple records of biomass burning activity are needed to understand the natural controls on fire, such as climate, fuel types and abundance, and topography. The rise of pastoralist societies around 4000 cal yr BP represented a major shift in human impacts on vegetation, fuels, and ignition patterns. By analyzing the natural variability alongside archeological and historical data on human societies it may be possible to characterize the ecological impacts of human burning activities. Demographic changes impacted the environment variably over space and reflected the intensity of land use and the values of those societies. Synthesis of multiple records of biomass burning can be used to understand the broad-scale controls of fire activity. Comparative analysis of fire records at sites across environmental gradients provides insights into the relative importance of natural and anthropogenic controls of fire. Examination of natural and anthropogenic variability on vegetation and disturbance regimes helps us understand the evolution of human-environmental interactions and the processes that have led to the present landscapes. This information is critical to developing sustainable trajectories for land management policy and conservation efforts crucial to the future of East African landscapes experiencing development pressure and rapid climate change. Click here fore more information about Colin’s work within the REAL project.